The Andaman Islands is a part of the Andaman and Nicobar Islands Union Territory of India. The islands are surrounded by the Bay of Bengal. The chief administrator and community of the islands is Port Blair. 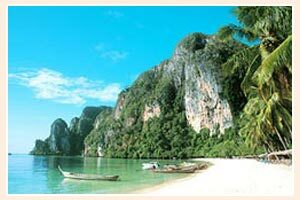 The group of Andaman Islands forms a single administrative district, the Andaman district. Climate is generally warm and rainfall is irregular. Clean environments, natural sceneries, greenery and unpolluted fresh air of the Andaman Islands have always attracted tourist. Apart from that adventure such as trekking, island camping, scuba diving snorkelling and several other water sports are the attraction of these islands. The islands are covered with topical rain forest and are a home of a number of animals and plants.